What, if anything, would you say defines Quebec literature? An inwardness of character, I think, and a complexity in the emotions they experience. There’s a toughness, a harshness of tone that’s difficult to capture or define in just a few words. 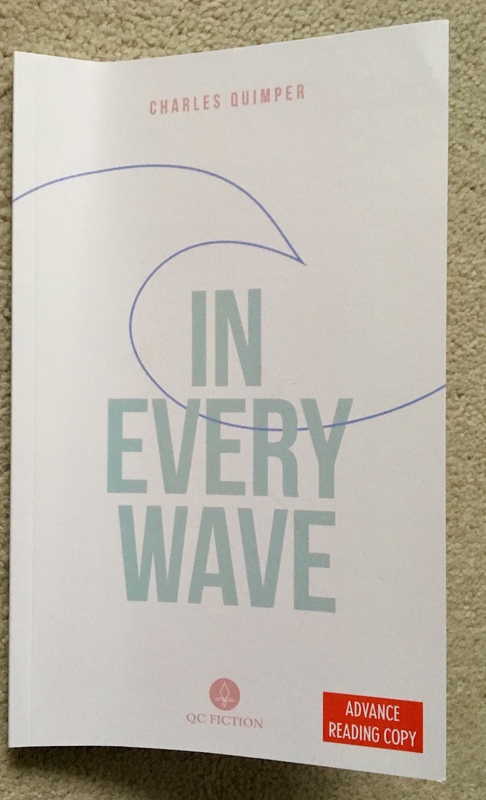 This sums up the first-person narrative – monologue – and the narrator’s tangled, indefinable sensations and emotions in Quimper’s first novel, In Every Wave. It belongs to that sub-genre of fiction which deals with a parent’s anguish and torment at the loss of a child. Ian McEwan is the only example that comes to mind (toddler goes missing in supermarket), but I’m sure there are more I’ve forgotten about. It was June when I set sail on my boat’s maiden voyage. I carried the bare essentials. A few pounds of supplies, your little pink box, a battleships game, and the endless echo of our days together. I’m not sure ‘harshness of tone’ is what he does here, though there’s a brittle matter-of-factness masking the pain underneath. The two short, simple sentences are deceptive, their apparent confidence waylaid by the heartbreaking list of stores that’s given in that long, swirling third sentence – all addressed to the lost child. After the mundane, trivial objects, with their connotations of seafaring and childhood, we get that tortured abstract noun phrase signifying emptiness, loss, bereavement. What follows is a poetic evocation of the father’s descent into personal hell as he tries to come to terms with the death of his little girl. The narrative is slippery and unreliable: we’re given three different accounts of how she died. It’s as if the detail is immaterial; it’s only the grim fact that she’s dead that counts. The rest is narrative. As he builds his ship of death, then sails it on an increasingly fantastic voyage reminiscent of legendary travellers like St Brendan and Mandeville, one is invited to share all that’s happening in his head, as in Golding’s Pincher Martin. He’s in such inner turmoil he’s incapable of distinguishing the material world, which increasingly lacks definition for him, from the infernal zone he’s trapped or adrift in with memories of his equally lost, unanchored little girl. It’s impossible to read this novella – it’s less than eighty pages long – without partaking in that parental torment. Quimper takes us to places most of us hope never to go in real life, creating a work of art out of imagined catastrophe. 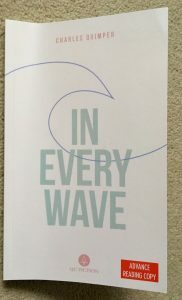 The translation by Guil Lefebvre is seamless and fluent: it can’t have been easy to render this heightened language from the French, yet he’s produced a version that reads idiomatically and smoothly – the sign of a good translation is that the reader is never conscious of reading something translated. QC Fiction continue to produce an impressively varied and consistently interesting sequence of prose fiction titles. ARC courtesy of QC Fiction.